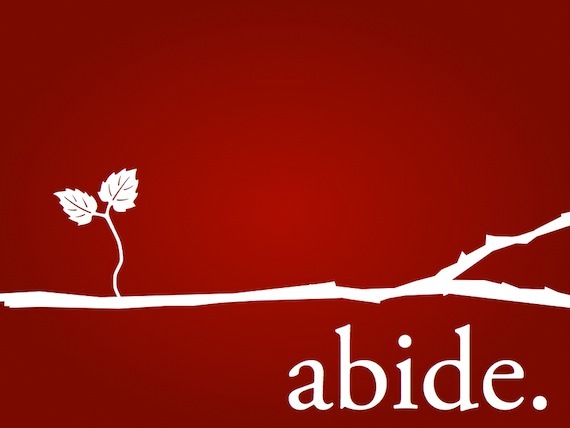 This is a brief study discussing how we abide in Messiah Yahshua/Jesus? The conversation comes up quite a bit and people make the claim that they will no longer be punished/condemned when they abide in Yahshua/Jesus. But just what does that mean biblically? Does it mean we can just claim faith and thats it? This is the most common answer I have seen Christians quote. Romands 8:1 There is therefore now no condemnation to them which are in Christ Jesus, who walk not after the flesh, but after the Spirit. But what does this mean? lets take a look at who Yahshua is. Proverbs 6:23 For the commandment is lamp; and the LAW IS LIGHT; and reproofs of instruction are the WAY OF LIFE. Yahshua/Jesus said:” John 14:6-7 Jesus saith unto him, I am THE WAY, THE TRUTH, AND THE LIFE: no man cometh unto the Father, but by me. If ye had known me, ye should have known my Father also: and from henceforth ye know him, and have seen him. John 5:45-47 Do not think that I will accuse you to the Father: there is one that accuseth you, even Moses, in whom ye trust. FOR HAD YE BELIEVED MOSES, YE WOULD WOULD HAVE BELIEVED ME: FOR HE WROTE OF ME. But if ye believe not his writings, how shall ye believe my words? Yahshua/Jesus is telling you he is the Law made flesh. Abding in him is keeping the law and walking it to the Father/Yah. 1 John 2:5-6 But whoso keepeth his word (Torah), in him verily is the love of God perfected: hereby know we that we are in him. He that saith he abideth in him ought himself also so to walk, even as he walked. Now lets finish Romans 8 and get the correct understanding. Romans 8:1-9 There is therefore now no condemnation to them which are in Christ Jesus, who walk not after the flesh, but after the Spirit. For the law of the Spirit of life in Christ Jesus hath made me free from the Rom 8:3 For what the law could not do, in that it was weak through the flesh, God sending his own Son in the likeness of sinful flesh, and for sin, condemned sin in the flesh: That the righteousness of the law might be fulfilled in us, who walk not after the flesh, but after the Spirit. For they that are after the flesh do mind the things of the flesh; but they that are after the Spirit the things of the Spirit. For to be carnally minded is death; but to be spiritually minded is life and peace. Because the carnal mind is enmity against God: FOR IT DOES NOT SUBMIT TO THE LAW OF YAH, neither indeed can be. So then they that are in the flesh cannot please God. But ye are not in the flesh, but in the Spirit, if so be that the Spirit of God dwell in you. Now if any man have not the Spirit of Christ, he is none of his. Walking in the flesh is not keeping the law. Those who walk in the spirit keep the law. The righteous requirements we fulfill or do in order to go to the Father/YAH. Romans 10:12-17 For there is no difference between the Jew and the Greek: for the same Lord over all is rich unto all that call upon him. For whosoever shall call upon the name of the Lord shall be saved. How then shall they call on him in whom they have not believed? and how shall they believe in him of whom they have not heard? and how shall they hear without a preacher? And how shall they preach, except they be sent? as it is written, How beautiful are the feet of them that preach the gospel of peace, and bring glad tidings of good things! But they have not all obeyed the gospel. For Esaias saith, Lord, who hath believed our report? So then faith cometh by hearing, and hearing by the word(Torah) of God. Rom 3:30-31 Seeing it is one God, which shall justify the circumcision by faith, and uncircumcision through faith. Do we then make void the law through faith? God forbid: yea, WE UPHOLD THE LAW. By James Boswell for FGT.